If you know me, you know that one of my favorite things to do is being able to cuddle up on the couch under a blanket, with a great book in hand and candles blazing all around me. To me, this is heaven! You may also know that prior to pursuing My Soul Mission full-time, I worked as a full-time high school English teacher and that one of my favorite parts of the job was reading great novels with my students. As a high school teacher, I had the opportunity to read and teach of the best novels ever (in my opinion anyway), “Pride and Prejudice” by Jane Austen. If you have never read this book, let me encourage you to do so. There’s just something about the way Jane Austen takes a hold of your emotions and in turn, draws you into the life of the characters. Another “nugget” of truth you that may know about me too is that I LOVE watching the movie versions of novels. Not only does the book come to life, but it also allows you to see the many differences between the two. As I sat on my couch watching this movie, I couldn’t help but focus in on the title, “Becoming Jane”. This movie clearly portrays Jane Austen becoming who she was created to be. As I continued watching, I kept asking myself, “Jen, who are you becoming?” As I look back on my life and the many experiences I have lived through, whether good or bad, I can’t help but see the hand of God guiding and leading me into becoming the person that He has created me to be. He has always led me onto the path that He desired me to be on. He has always had a plan for me. He is good. So, with these thoughts, I can’t help but ask you, who are you becoming? 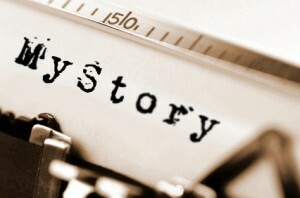 If there were a movie written about your life and who it is that you became, what would the movie portray? I have found that in life, we must continually ask ourselves these questions because if we don’t, before we know it life will have passed us by and we will be looking back wondering what we did with the time that was given to us. The truth of the matter is that each and every one of us has been given a gift, a gift to share with the world. Jane Austen had the gift of writing that she went after regardless of what came her way. And you my friend, you too have a gift, a gift that the world desperately needs you to fulfill. A gift that God wants to see you live into. >So today, spend some time reflecting on who you are, what have you been called to and who are you becoming? And if there one piece of advice that I can give you it is this: Just like Austen, you too will encounter the “dream killers” in your life; those people who feel as though they know best and what it is that you should be doing with your life. They will criticize the steps you take and many times, the words you speak. Today let me say; do not listen to them. Remember, you are here to please one and quite honestly, if He approves of you, why worry about winning the approval of others? If He called you, He will enable you! Remember, if you fail to live into the calling that has been placed on your life, the world will be at a loss. Don’t waste another day my friend, the world is waiting!